Yummy Man – Is it Otto or is it Packard??? In an attempt to put her unhappy past behind her, Justine Jones throws herself into nursing school and planning her wedding to Otto Sanchez, the man of her dreams. But something is off. Random details aren’tadding up…and is it her imagination, or are her friends and fiancé keeping secrets from her? And what’s with this strange sense of unease, and her odd new headaches? Let me tell you a story. It’s a story about a girl and a book. Actually, two books. Now, this girl is sometimes (*cough* often *cough*) easily influenced by something called book blogs. Sometimes it’s not the best thing but sometimes it’s absolutely great. 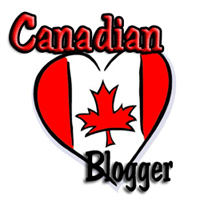 The girl saw 5 star review after 5 star review for a little book written by a new author on almost every blog she visited. The book was Mind Games by Carolyn Crane and it was the first in a trilogy titled the Disillusionists. The girl caved – rather easily – and read the book. And she loved it. She wondered why it had taken her as long as it had to read it. 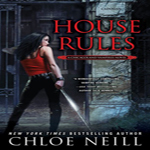 Officially hooked, she picked up the second book in the series, Double Cross, as soon as it was released. The girl made herself comfortable in her reading chair and cracked open the book…and didn’t get up until it was done. Okay, that is not entirely true. The girl had to pee once in a while. And probably eat too. But I digress. The book was simply amazing and the ending… What to say about that ending?! It was frustrating and perfect all at once. Then the girl waited and waited and waited for book three, Head Rush, to come out. And when she got her hands on the book she almost cried because she couldn’t read it right away. But when she was able to crack it open, she sat in her reading chair and read. And read and read and read. The girl was happy. When she read the beginning, she was curious. When she got to the middle, she was bouncing. When she got near the end, she was on the edge of her seat. And when she finished the book, she was smiling. A big stupid happy grin. I don’t know the girl’s name, but I am here to tell you what she thought of Head Rush. I am not going to talk details because there is no way to talk story without giving away spoilers from the second book. And if you have not read that book, you have to. The ending…ZOMG! I enjoyed Justine very much in Head Rush. She is still her nervous hypochondriac self but it’s not as severe. I liked how she dealt with the aftermath of what happened in book two. She wasn’t in the loop but there were signs that made her think something was wrong. (Yeah…this “writing this review free of Double Cross spoilers is trickier than I thought LOL. 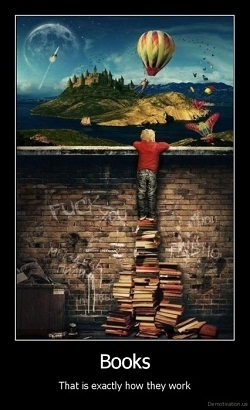 So just read the books and you’ll know exactly what I mean.) Justine seemed to have a little more fire in her this time around too. She was stronger. I really liked seeing her like that. Now Packard. Ah Packard… In the first book, you weren’t sure what to think of him. In the second book he became one of the yummiest men in UF. In this book he is only Packard. There is no better word. His heart is a mess and he feels he has nothing to lose so he puts it all out there. And when he goes for it, your heart goes out to him. I did find the very beginning of the book a little slow, but soon enough Packard shows up and things get rattled and the action really starts. It’s not crazy run run run action but more psychological and when you reach that point in the book, you will find it very difficult to put the book down. Then you reach the climax of the story… You go into this book thinking you know how it’ll end and nope, that is not how it goes down. Carolyn did very well in keeping you on your toes. I found it a little odd how Otto was managed at the very end, but really it’s the way to do it. And the epilogue is what makes you grin from ear to ear. And if you had a third ear, you would grin to that one too. Speaking of Otto, there are moments where I actually felt sad for him. They were little but they were there just the same. I often say that if an author can make you feel for the bad guy then she is a talented writer. And Carolyn can definitely write. I was surprised that the cannibal sleep-walkers didn’t play a larger role in this book seeing how much they appeared in the last book. The focus of this book really was Otto and Justine and Packard and I think (especially after what readers went through in book two) that’s what we needed from this book. Just a quick side, I really really liked Simon and Shelby in this book. I have always liked them and they have some of the best lines in the series, but this time around they were especially great. And Gumby! He played a substantial role in this book. Gumby even made me tear up a bit! There really is more that I could say about this book, but all of it would give things away. And seeing that this is the last book in a trilogy, you can only imagine how much there is to say. I’m a little sad knowing that the series is over but I know that novellas will be written so it’s not like we’ll never see these characters again. The world in the Disillusionists series really is unique and I have never come across anything like it in UF. Carolyn’s imagination is incredible and it’s great that she shares it with us in these books. You all have to read this series. It popped on my favorites list from book one and definitely still belongs there after book three. It’s a keeper and if you read it I’m sure you’ll agree. As for Head Rush, it really did end the series will. In fact, I can’t think of a better way to end things. And although the second book is still my most favorite in the series, I think those of you who read it will be happy with this last book. More than happy. You’ll be grinning from ear to ear to ear. 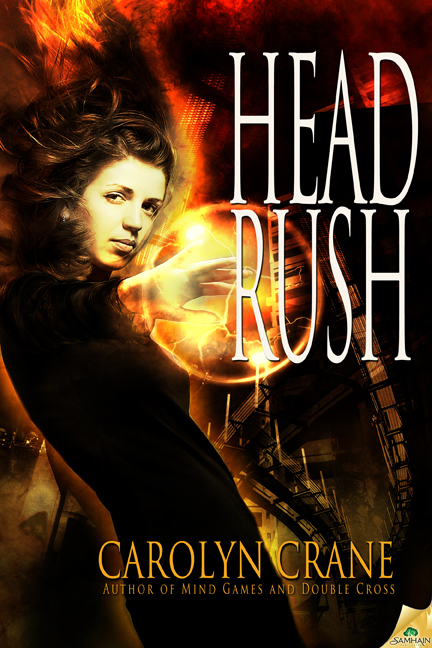 Share the post "Review: Head Rush by Carolyn Crane (The Disillusionists #3)"
OMGosh is it the 6th yet?? I cannot wait! Loved the first two. Such a good series! There is so much crappy writing out there that it is a joy to sit down and read a really good book. I’m really behind with this series. I read the first and loved it. You are so right, Carolyn has the best immagination and wrote a totally unique, creative book. Now I’m off to order the last two books in the trilogy. Thanks for this review! I skimmed this review to see if you liked it-and glad you did! I can’t wait for this one. This will be my first ebook I will buy once my hubby gives me my ereader for Christmas!!!! I can’t wait! There is so much crappy writing out there that it is a joy to sit down and read a really good book. blodeuedd – I am going to be buying the print copy when it comes out. I was not able to wait like you though. You have a strong disposition to be able to wait. I commend you. Lexi – Good choice. And a new eReader for Christmas! How fun is that?! Katie – I LOVED Gumby in this book! 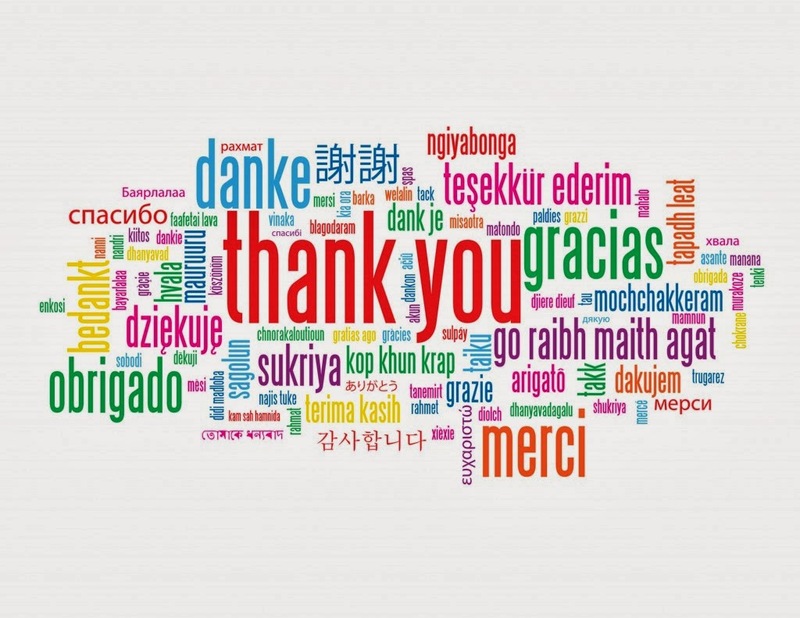 I’m so happy to hear that you enjoyed the conclusion to this trilogy. Those are the best endings ever, the ones that leave you smiling and satisfied! 🙂 I already placed book one on my TBR list after your last two reviews and hopefully one day I’ll be able to get into this fun world!